« New Friday post series. Spam comment of the week. Ticket Winner and Discount Code! 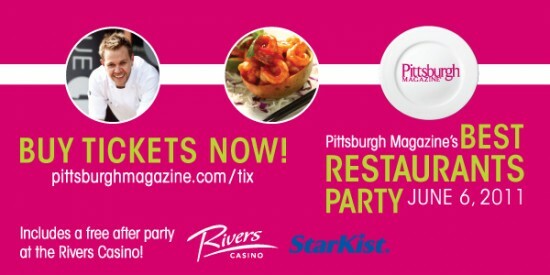 The winner of the two tickets to the Pittsburgh Magazine Best Restaurants Party was reader Shannon, who has been notified and claimed her tickets. If you’re not Shannon, you can still purchase your tickets and use the discount code JANEPITT to get $20 off the price of each ticket up until noon on Sunday, June 5. It is going to be a great time and so many of our good Pittsburgh friends will be there stuffing their faces. I hope you’ll join us and stuff your face too! And then we’ll go to the Casino and stuff our faces some more. And then we’ll probably buy Tums on the way home. And maybe go on a juice cleanse the day after. “juice cleanse the day after” borders on TMI. Maybe crosses said border illegally. Just sayin’. I am Shannon & can’t wait to go tomorrow! Seriously, thanks to you & Pittsburgh Magazine! Also, I’m probably not going to eat all day so I can stuff myself full all night.